The cream of young New Zealand Marist colt rugby players are in the city and play a Wanganui Invitation Under-20 side at Cooks Gardens on Tuesday as part of a four-match tour of the North Island. 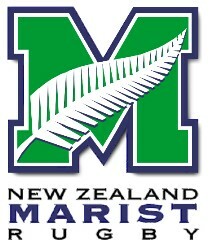 The NZ team, which is selected from players from 29 Marist clubs including Whangarei, Auckland, Waikato, Bay of Plenty, Poverty Bay, Hawke’s Bay, Manawatu, Wairarapa, Wellington, Nelson, West Coast, Canterbury, South Canterbury, Otago and Southland, as well as invited players from the Pacific Islands, Argentina, Uruguay and Australia includes Wanganui Marist flanker Tim Gudsell. The squad, coached by Wanganui rep back coach Jason Hamlin and Nigel Williams (South Canterbury), played Tukapa in New Plymouth at the weekend and after the Wanganui match, being held at Cooks Gardens at 5.30 tomorrow night, plays in Masterton on Thursday and Palmerston North on Saturday. Tyler Sietu (North Harbour), Sione Hifo(Ardmore), Matthew Watkins (Hamilton), Matt Abbott (Greerton), Hayden Evan Potgieter (Whakatane), Todd Cannjng (St, Michael’s), Scott McKinmley (Gisborne), Jack Byrne (Napier), Ray Selesele (Hastings), Tim Gudsell (Wanganui), Sam Bergeson (PN), Henry Wilson (Masterton), Jordan Gillies (Hutt), Mike Buckley (St. Pat’s), Lote Alexandra Saulekaleka (Nelson), Lochie Elley (White Star), Banjamin Campbell (Greymouth), Logan Ross (Wests), Matthew de Vries (Albion), Keanu Huria (Ashburton), James Hawkey (Timaru), William Saulala (Athletic), Cam Burrow (Dunedin) and Scott Jones (Invercargill). The team visits Catholic schools and colleges at each tour venue city.